You’re not going to drift away from the dreamland anytime soon when you head’s laying on carefully curated types of pillows. The ingredient of good night sleep is not only on the comfortable mattress but also pillows that are made to make you feel good and relaxed after a long day of work. Pillows have come in diverse ways and made with a variety of fillings from the gel, kapok fiber, cotton, wool, et cetera. The difference of pillow shape and materials can highly affect your quality of sleep, which is why choosing the correct types of pillows is as much significant as choosing your sleeping mate. 1. What Types of pillows Should I Choose that Provide Maximum Comfort? If you’re planning to enhance and change things up in the bedroom, try starting from your upper bed essential, the pillow. While there are many types of pillows available out there, there is no one pillow that fits everybody. Some people opt for sleeping on the side. Thus, a pillow that gives comfortable side head resting is the pick. Some others prefer to sleep in a recumbent position, or on their stomach. Despite your sleeping position priority, the good bed pillows should be able to keep your head appropriately aligned with your spine. That being said, they should not give too much pressure on the upper body parts. The choice to choose the best pillow ranges from style, design, fill, casing, and the like. It’s soft, lightweight, and holds form. The feather pillow is among the traditional one, used in many families back in the old days because its materials are easy to obtain. It is filled with goose or duck feathers and capable of springing back when you put pressure on the pillow. Feather pillows are an excellent choice when you look for soft and fluffy support for your head and upper body, not to mention they are also more structured and have larger arrival. Technically, some feather pillows are mixed with a down to improve its fluffiness. Down pillows are perfect for on-stomach sleepers because they provide better comfort, have more cushiony quality than firm. This type of pillow is considered as natural underlayment with enhanced warmth and incredibly resilient. Unfortunately, some people may have allergies with down material, since it is derived from the inner layering of a bird’s skin. Down pillows make a luxurious option yet not very supportive on its own that needs to be mixed with feathers at the right ratio. Good news for people with allergies to down, this synthetic pillow may be a good replacement. The types of pillows are filled with the identical material as down, mostly polyester or puffs to create the same softness and lightweight feeling. The synthetic down pillows offer a cheaper alternative and easy to take care of. It may not give you the same warmth as the authentic down pillow, but it’s hypoallergenic, holds good form, and fluffy enough. In most cases, memory foam pillows are taken into consideration for people with sleep-related issues. The types of pillows are capable of giving you support, particularly on the head and neck, since they contour your body shape without sacrificing comfort. When you wake up, the pillow will reclaim its authentic shape. Memory foam pillow is made of polyurethane material with just right density and responsiveness. Perfect for side sleepers, this pillow is also very durable, support pain relief for your upper body, and no lumping. The alternative memory foam pillows come in the shredded filling that supports both back and side sleepers. Shredded memory foam pillows are adjustable to fit any sleeping position, more flexible and have the same responsiveness as the memory foam fill. The type of pillow materials is easily rearranged to fit your head resting comfort when one side goes lumpy. It’s moldable, flexible, and provide excellent firmness as well as easy to clean. Though it’s quite firm, it still provides good bounce and support. Thanks to its durable quality, latex pillows become the preference of many, be it shredded or left as it is. The pillow is made of rubber tree fibers that known to last quite a little longer than the other types of pillows. Natural latex, in particular, provides excellent responsiveness and holds shape. Latex pillows are sometimes too heavy for some people, but some manufacturer also blends it with polyurethane foam although it may lose durability faster. Compared to the blended one, natural latex is more breathable. Another natural option for your favorite types of pillows is the buckwheat one. Popular across nations in Asia, buckwheat pillows are very much breathable, have adequate firmness, and good for your health. The organic pillows are filled with buckwheat hulls, highly durable, and allows contouring for your neck and spine. Buckwheat pillows are supportive and moldable, but they tend to make noise when you move. Here come another inventive ways of making your sleep more enjoyable. The water filled pillows are designed to reduce fluffing and allow you to get the consistency of head and neck support. As the name tells, the pillow is filled with water. Water pillows maintain its consistency no matter how much pressure you put on them. It’s highly adjustable to your needs, whether you need to reduce or add water before resting. However, watch out for any leaks before it ruins your mattress. The inside material of kapok pillows, which is the mature seed pods, is from the Ceiba tree. Kapok fiber pillows are naturally durable, even often used in bedding. Compared to other types of pillows like cotton pillows, this one is loftier, softer, and more buoyant. Kapok fiber pillow has a slight similarity to down, naturally moldable, and environmentally friendly. However, it requires regular fluffing to maintain comfort. Gel pillows have a similar character with the water pillow, which purpose is to provide coolness while enhancing comfort while you’re sleeping. It works by drawing the heat out your skin surface to the cooling gel for a calming sense. The pillow is hypoallergenic, helps you relieve pressure, and casually moldable. You don’t need too much maintenance, and it can be blended with memory foam for greater contouring. There you have all ten types of pillows that will help improve your sleeping quality. 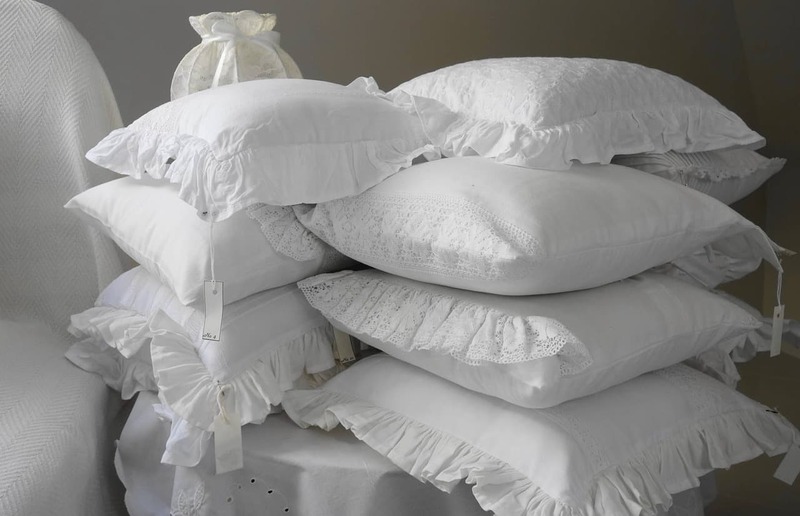 One most important thing before buying pillows is to see its materials and thread-count that indicates the closeness of the pillow materials attached.